About the Instructors at Read Kauai! Literacy programs specializing in multisensory techniques. When learning becomes a puzzle, here is help! For more than 30 years on Kauai Elizabeth Scamahorn, M.Ed. has been actively involved with academic training for students with dyslexia, learning differences or who are bilingual. Elizabeth�s professional education focuses on reinforcing learning style uniqueness while instructing students, parents, and teachers in literacy. Her work with dyslexic students inspired a master�s degree in education with a focus on learning styles. 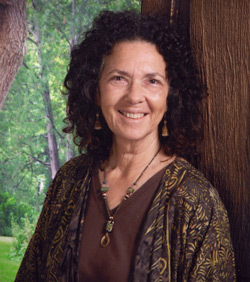 She makes use of many years in the Kauai public and private school systems as a teacher, trainer, and tutor. By utilizing various screening procedures and methodologies Elizabeth gives each student a positive experience while learning the components of language. As a Literacy and Learning Specialist, she offers consultations with an emphasis on linguistics and education services to public and private schools. Ms. Scamahorn�s program, Assessing, Acting and Reassessing Learning, showcases her well-rounded abilities when speaking as a guest lecturer for schools, organizations, conferences, and parent support groups. She specializes in assessments / screenings, tutorial services, teacher and parent training, and implements the nationally recognized Learner Profile programs. For over twelve years she has been an independent contractor with LANGUAGE! Training and Intervention	(Sopris West Publishers & Educational Consultants). In addition, she has advanced training in literacy acquisition, Orton-Gillingham and Slingerland methodologies, and numerous multisensory programs. Elizabeth has trained teachers in Hawaii and the mainland. She is a member and present board member of the Hawaii International Dyslexia Association	. Her office is located at Island School where Mrs. Scamahorn is the Literacy and Learning Resource Teacher part time. Mrs. Scamahorn networks with speech therapists, child and family counselors, psychologists, pediatricians, homeschoools, and tutors island wide - making her services a resource hub. Her excitement about learning comes through as she is able to address specific needs of groups, classrooms or teacher in-services; Elizabeth provides quality intervention for any person willing to learn. There is always a key within each individual. Once discovered, it will open the door to learning. Elizabeth�s services are offered to public, homeschoolers, and private school students. Her office is located at Island School in Lihue for convenience. She is available to travel to sites throughout the county of Kauai and state of Hawaii. Integration of strategies and practices can take place in school and at home. So your child can say, "I am a great learner".